Any patrons under 18 must present a school ID or have a library card in order to use a computer. A local private school does not use photo IDs, therefore some of these students cannot use the computers. As with most communities, there is a group of children who are unable to get cards because of their parents accumulating large fines, they are now unable to use the computers. Teens who are “in transition”, have neglecting or abusive parents, homeless, or unable to get their parents signature for whatever are all banned from using the computers in the library as well. So, does the policy meet its purpose? Even taking the most utilitarian positions on this policy would tell you that a lot more people are negatively affected than helped by its implementation. Ultimately, the result of this policy is simply less teens on the computers and the only way the policy could be considered successful from this is by assuming that all teens are the problem, not just the aforementioned troublemakers. Speaking of which; if anyone is wondering how the unruly teens are dealing with this policy, not to worry… They all have school IDs and are still having a good time. Thanks to John V. Richardson and Ward Smith from UCLA who drew my attention to this “Angry Librarian” post from The Quattlebaum comedy troupe. How many “customer service” or service excellence mistakes does this librarian make? 2) A lot of bits and pieces of possible posts lying around in draft. Here then, be the bits and pieces for your piecing and, uh, biting pleasure. I love this piece from Seth’s Godin’s Blog: “Here’s the short version: If you try to teach a customer a lesson, you’ve just done two things: a. failed at teaching a lesson and b. lost a customer” Amen! 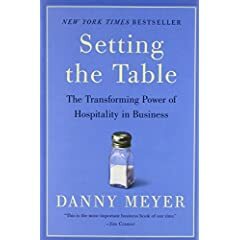 If the customer receives ‘service’ but feels like it’s being given as a favor, or worse, with reluctance or a with punitive spirit, then the customer might take their bidness elsewhere. A Customer Service Shout Out to Comcast. I dumped Verizon DSL last year after years of service because my Internet went out one day and they didn’t care. And that is the mercifully short version! I promptly ordered Comcast Internet and have been enjoying their speedy connection ever since. Until my Internet slowed to near halt a few days ago and my cable tv went on the fritz at the same time. I called Comcast and quickly got through to a live human being (my favorite kind, mind you.) They said they could be out the next morning, but that wasn’t good for me, so we scheduled the morning after. Not only did the nice Comcast man show up 1/2 hour early, he was pleasant, professional, communicative, quick, and ended his visit by saying, “of course there will no charge today.” Of course! I don’t know if it’s just that my expectations have been so severely lowered by so many terrible interactions (with Verizon, with banks, with my oil company, etc., etc.) but boy did I feel good about Comcast. Even better than I did before my Internet and TV fritzed out. It’s almost a bit cliche, but how true nonetheless – every service problem is an opportunity to strengthen the connection with the customer. From “Dont Coddle Me at Work” courtesy of the Chief Happiness Officer: “Before people can be happy at work, the thinking goes, they must be shielded from all manner of ills: angry customers, unrealistic deadlines, unfair decisions, overwork, boring meetings, stress, annoying co-workers, insecurity, diffiult situations, hard choices – you name it. Wrong. The best and happiest workplaces in the world haven’t become so by shielding their people from problems, but by giving their people the skills, the energy and the freedom to deal constructively with problems.” Hey, that sounds just like Nordstrom. Don’t set rules designed to deal with every possible worst case scenario; give your employees the power to deal with problems if and when they occur. Like Robert Spector writes in Lessons From the Nordstrom Way, “Dump the Rules!” Each one is a barrier between you and your customer. Lovin the Elf! Library Elf, that is. I signed up for Library Elf last week after attending an informative presentation by Ralph Bingham of the Gloucester County Library System. GCLS has been actively promoting Library Elf to the delight of their customers. I didn’t think I would be able to participate since my library is a Triple I shop, but lo and behold the good people at Library Elf set me right up. I mentioned this to an administrator at my local library who was happy to hear the news. A recent customer survey had just revealed that “underdue” notices were greatly desired. This is the kind of simple convenient service that can have a great impact on customer satisfaction and also raise employee morale by reducing staff contacts with grumpy customers complaining about fines. Kudos to Nancy Dowd, Director of Marketing at the NJ State Library, and Blogger-in-Chief over at The M Word, for creating a new Flickr group for New Jersey library events. I just read Librarians ‘Should be Sexier’ on thisislondon.co.uk and I actually had to read it twice to be certain that this was a serious article. Yes, it would now appear that it has been decided by a “senior spin doctor” that the word librarian should be banned because it connotates too many negative images. Oh, and apparently the way that we can ensure the health and vitality of libraries is to hire based upon appearance — we need to make sure we staff our libraries only with beautiful people. The article does mention that librarians in Britain are disgusted with this suggestion, but I can’t believe that anyone even had the gall to suggest it in the first place. Maybe we need to ban the word politican because of the negative connotations or the word lawyer… just my quick two cents for the day. I’ve been away from the blog for what feels like a while–but for a good reason! My wife and I met up with some friends that came from the west coast and we did a seven day cruise to the western Caribbean. Lots of rain, no sun, but a good time was still had by all. We swam with dolphins, played with monkeys, ate, slept, read. Who needs the sun anyway? 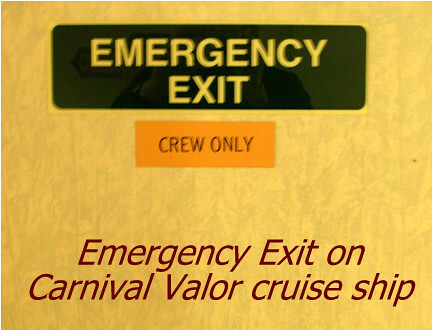 I never had any desire to vacation on a cruise ship, and while the service and food was generally excellent (with a few notable exceptions), the cruise ship experience is probably just not my bag. 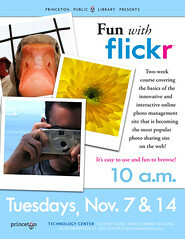 This morning I taught our first official flickr class in the technology center. We asked for registration, but somehow this beautiful flier designed by our PR department left off that detail and I missed it during proofreading. The funny thing is that even though we only had 9 people register with 7 of them actually showing up, we still ended up with an overflow crowd of 15 thanks to this poster. It was my fault for not catching this sooner and so I did my best to accomodate 15 students in our 12 seat lab. Everyone was willing to share a computer so that no one had to leave. Next week several people will bring their own laptops and use our wireless connection so that we will have enough computers to go around. I will also have one of my tech assistants help me teach so that we can be more hands on. Problem solved. What really amazed me about the participants was how savvy they already were with photo sharing. Out of the 15 students only 2 had never done any online photo sharing before. Most had used 1.0 photo sites and 1 even had already set up their flickr account. Also, only 3 people needed to set up Yahoo! accounts. Next week is the second class and I hope that all of my flickr 15 return for more flickr fun.